national park information center. It’s open weekdays spring and fall and 9 a.m. to 7 p.m. daily in the busier summer months. 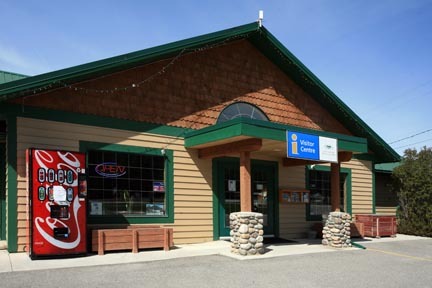 Along Highway 93/95, just south of the Invermere turnoff, is the Invermere Visitor Centre (651 Hwy. 93/95, 250/342-2844, www.cvchamber.ca, 9 a.m. to 5 p.m. daily July to early Sept., 8:30 a.m. to 4:30 p.m. Mon. to Fri. early Sept. to June). For information on Kimberley and the surrounding area, drop by Kimberley Visitor Centre (270 Kimberley Ave., 250/427-3666, www.tourismkimberley.com, 10 a.m. to 6 p.m. daily July to Aug., 10 a.m. to 5 p.m. Mon. to Sat. Sept. to June), at the north end of the Platzl. The main Cranbrook Visitor Centre (2279 Cranbrook St. N., 250/426-5914 or 800/222-6174, www.cranbrookchamber.com, 9 a.m. to 5 p.m. daily in summer, Mon. to Fri. only the rest of the year) is at the northern entrance near the beginning of the strip. East of Cranbrook along Highway 3, on the north side of Fernie, is Fernie Visitor Centre (250/423-6868, www.ferniechamber.com, 9 a.m. to 6 p.m. daily July to Aug., 9 a.m. to 5 p.m. Mon. to Fri. Sept. to June). Lotus Books (33 10th Ave. S., Cranbrook, 250/426-3415, 9 a.m. to 5:30 p.m. Mon. to Sat.) is loaded with local reading material, including some interesting books on the gold-rush era. The valley’s main hospital is Cranbrook Regional Hospital, off 2nd Street on 24th Avenue North in Cranbrook (250/426-5281).